This gorgeous piece of furniture is brought to you straight from Italy. The arm chair is constructed of high quality hardwood and given a clear veneer finish to preserve beauty and durability. 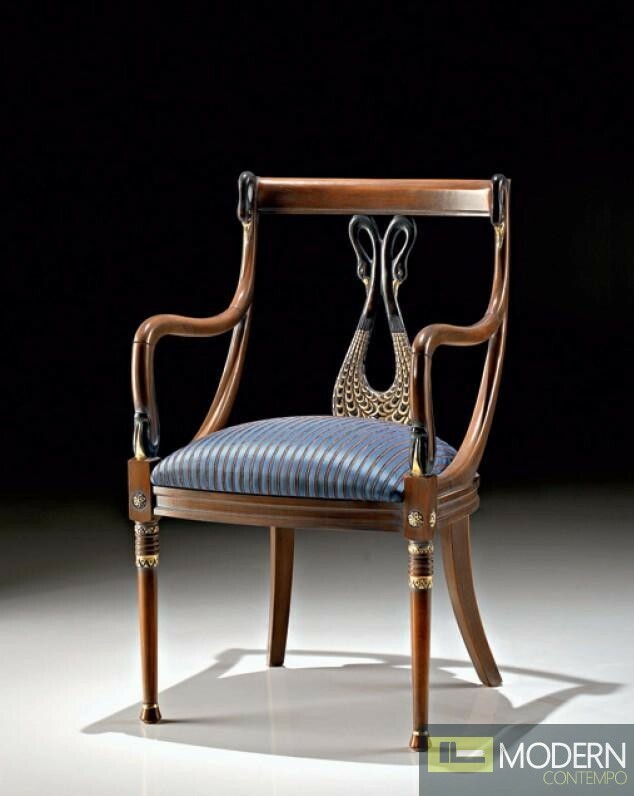 The seat back has an intricate, carved design and the seat is upholstered in comfortable, blue fabric.